Clouds and thunder threatened the track and field conditions for our district athletes, but on Tuesday, April 8, day one of the 2-day competition began without a hitch. 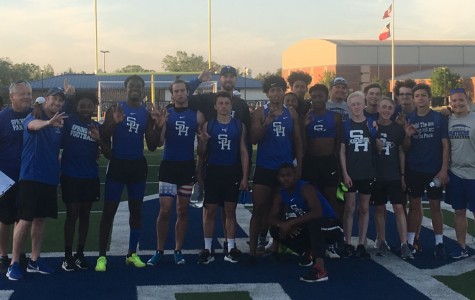 At the end of day one, Spring Hill was in first place for the district 16-4A UIL district track title (see points chart below). Advancement to Area looks promising for the Panthers. The varsity boys team results below, put SHISD in the lead by over 25 points, and day 1 did not include the relays nor the jumping events. 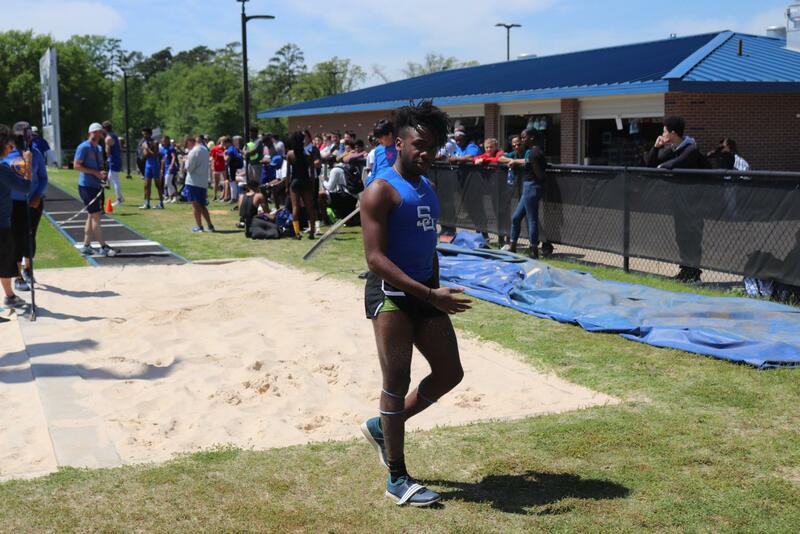 The sun was high and the heat made for long sno-cone lines for Charlie’s, but it was no match for the heat brought on by the Panther relay teams and the jumpers. Results are still waiting for verification, but many of our SHHS athletes had PR’s and were called back in the top 8, including Varsity triple jump competitor Kelsey Bell, who jumped over 39′. Go to panthernation.com for updated results. Area competition will be held on April 26-27.